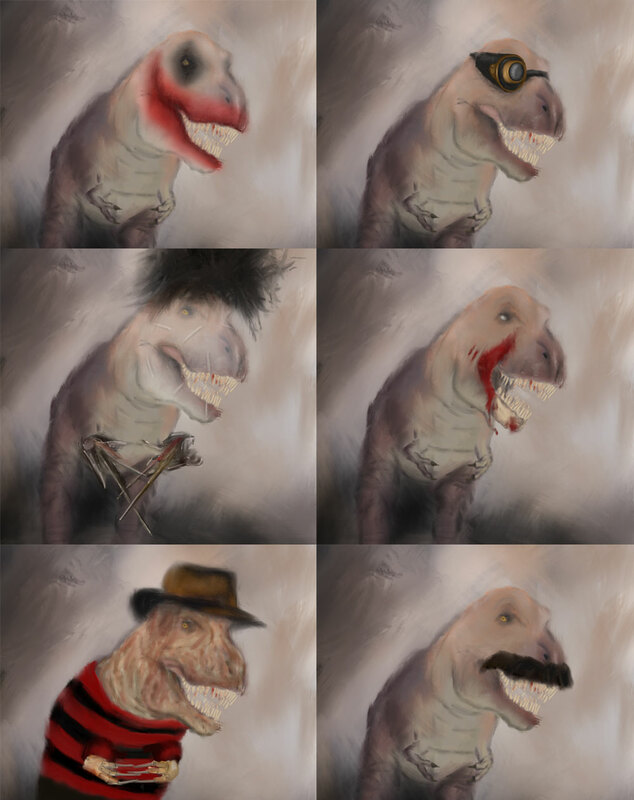 Joker T-Rex, Steampunk T-Rex, Edward Scissorhands T-Rex, Zombie T-Rex, and two Freddies: Freddy Krueger T-Rex and Freddie Mercury T-Rex. So I kinda cheated by just doing a variation on the same picture every day, but it’s quick which was nice. And it’s my drawing challenge so I get to make the rules.